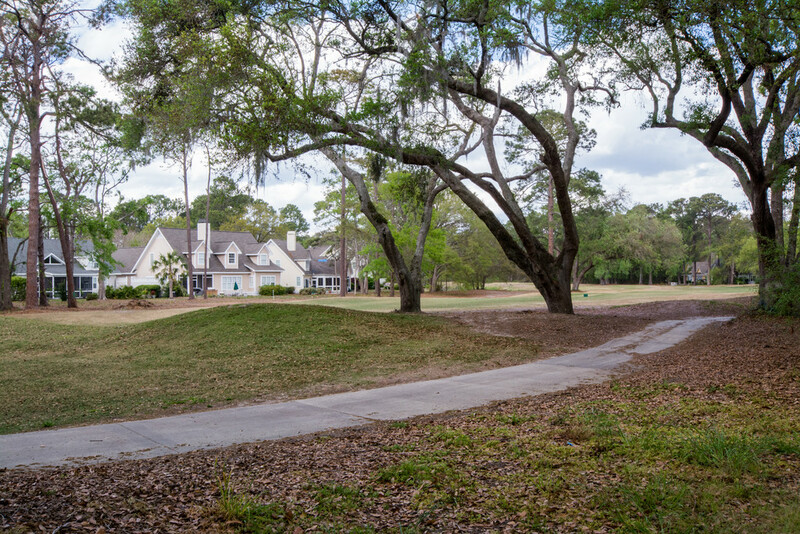 Located on the Island’s north end, just off HWY 278, Palmetto Hall Plantation is a gated community comprised primarily of full-time residents. There are no resort activities or short-term rentals permitted. Palmetto Hall is a moderately priced private neighborhood with amenities such as 36 holes of golf, tennis, swimming and social activities. It is comprised of 750 acres and 523 home sites. There is a very pleasant mix of architectural and construction styles. Many homes adhere to the Lowcountry cottage style, with ample porches, pitched roofs, shutters and dormers. Palmetto Hall is centrally located near Main Street shopping, restaurants, schools, churches, and the hospital.